For the first time in my teaching career, I am officially in a leadership position! I’ve always thought I’d work towards that eventually, but also have always said no, or shied away from working towards that type of position. I have had many reasons – children at home, Masters studies to complete, the desire to focus only on the act of teaching – and yet this year, for the first time, I find myself in not one, but two, leadership roles. 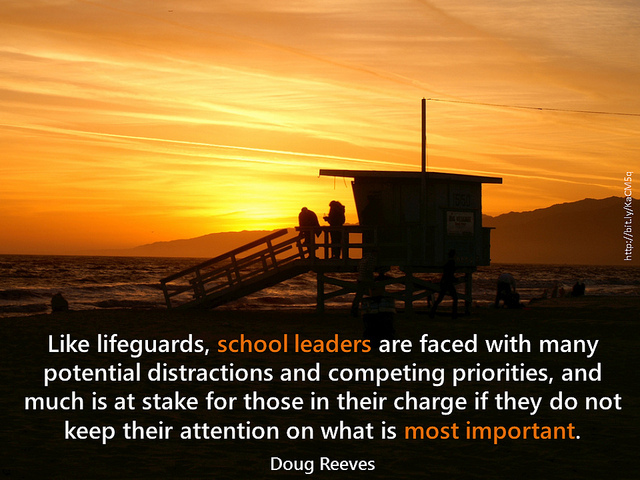 I’m finding priorities are shifting and I have a few new things to focus on in relation to the number one priority of my students. In June, Brooke, my amazing colleague and then lead Connected Classroom teacher made a parallel move within the district to become the lead Connected 8 teacher. That move resulted in a leadership shift in the Elementary Connected Classrooms with me becoming the new lead! I met with Brooke in mid-August to learn about my new role and was excited to see all that I would be responsible for. It’s a definite change in mindset and now I have a real reason to start learning about leadership. It’s something I’ve always thought I’d eventually turn towards at some point in my career and this is a great way to ease into it a little more gently. Interesting how personal relevancy can so profoundly change one’s perspective. On the first day of school this year, for the first time in 16 years of teaching, I’ll have a student teacher (or, as she is called through her university, a teacher candidate). Although she doesn’t actually start her practicum until Tuesday, she and I have been working together all summer via texting, email, twitter, several sessions at the school and one evening tea in my kitchen. There is so much more to being a teacher than showing up at school. To me, and to many, it is a lifestyle, and that, I think, is one thing that I want to share with her. It’s a lifestyle that I love (most of the time!) and I want her to understand so much more than the curricular learning outcomes and strategies to use for teaching place value. One bonus for me is that I feel motivated and excited already. I’m already benefitting from the opportunity to be a teacher mentor. She keeps thanking me for taking the time to involve her and communicate with her, but I keep thinking that I need to thank her for the injection of added interest and excitement she’s bringing to my practice. I think she is going to be a great teacher, and I’m excited to help her along and watch her take these last final steps into the profession. Leadership is one of those words that’s everywhere. I always paid attention, but always felt that it didn’t really apply to me. We all, however, can be leaders and I understand how I fit inside that definition, but personally it felt as if the real leaders were the administrators, upper district administrators and others in that type of position. Suddenly, I fit under my own umbrella and a whole new tangent of research, learning, reading, people and possibilities are meaningful. There is a lot that I want to learn, but with time becoming scarce as school goes back in next week, I need to choose my first few steps carefully. So, books to read, blogs to find, tweeps to follow and a long talk with my dad (a high school administrator for 30 years and the president of a large teachers association for a few years too) to help me get going! What do you think? Any ideas on where I should start? Imagery by Plug Us In and used with permission from Flickr. 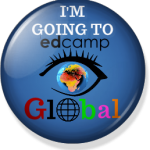 This entry was posted in about me, Connected Classroom, educational leadership, professional development and tagged ECC, educational_leadership by egregory. Bookmark the permalink. I found this to be a really interesting post! I love what you’re doing now in terms of leadership, and it’s definitely clear that you have a lot to share. I’m curious though: now that you’ve begun these leadership roles, what do you think of them? What other leadership opportunities do you want to explore? I’d love to hear more.